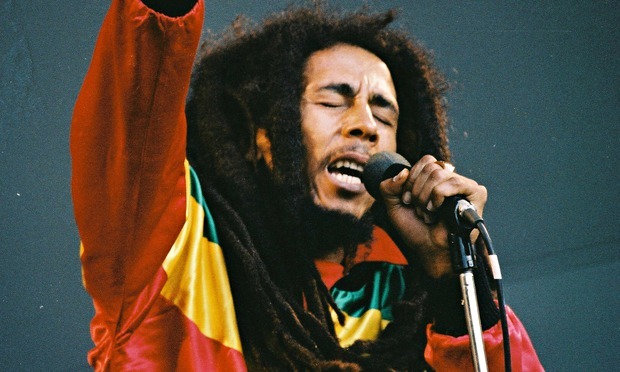 Bob Marley should be a posthumous nominee for next year’s Nobel Prize in literature. PHOTO VIA WIKIMEDIA COMMONS. If you’re a fan of the California-loving rapper, you know that 2Pac lives on. The hip-hop genius broke stereotypes in the R&B music industry. Inspired by Shakespeare and Machiavelli, Tupac exposed the truth on gang wars and the social injustices African Americans face. In 2010, his song “Dear Mama” was added to the National Recording Registry in the Library of Congress. The song voices the struggles of his mother and all the mothers who are raising a family while living in hard circumstances. The lead singer of the Red Hot Chili Peppers is more than a flawless, handsome man who is always shirtless. Kiedis is a true poet worthy of every literature and poetry prize. Many of his psychedelic and dark lyrics make references to history, poetry, philosophy and addiction. Other than bass player Flea’s mad skills, the lyrics to the band’s songs are what differentiate them from other rock bands and categorize them as alternative funk music. Before going solo, the badass female member of Fleetwood Mac poured her heart out into every song. The haunting sense of melancholy and passion in Nicks’ words came from her constant love conflicts and drama between band members. The delicate lyrics in her songs allude to the universally relatable truth that human survival is based on love and dependence on others. The late Argentinian musician, who had a long run with Soda Stereo before his solo career, is responsible for revolutionizing Latin American rock music. Pure poetry, his complex lyrics are difficult to unravel and analyze. Many of his songs touch philosophical themes, such as the essence of existing and finding the truth. His sensual, sort of hippie, yet obscure lyrics transport you to your deepest thoughts about life, love and friendship. Fun fact: he wrote songs for old-school, gypsy Shakira. He spread the message of revolution, love and peace while showing red, yellow, green and black colors of the Rastafarians to the world. He made reggae music universal and acclaimed international fame through his spiritual lyrics. Through his lyrics, he protested against social and political injustices generated by corrupt dominant people. His lyrics served as the eternal message to never give up the fight against evil, which will in the end lead us to unity and peace.